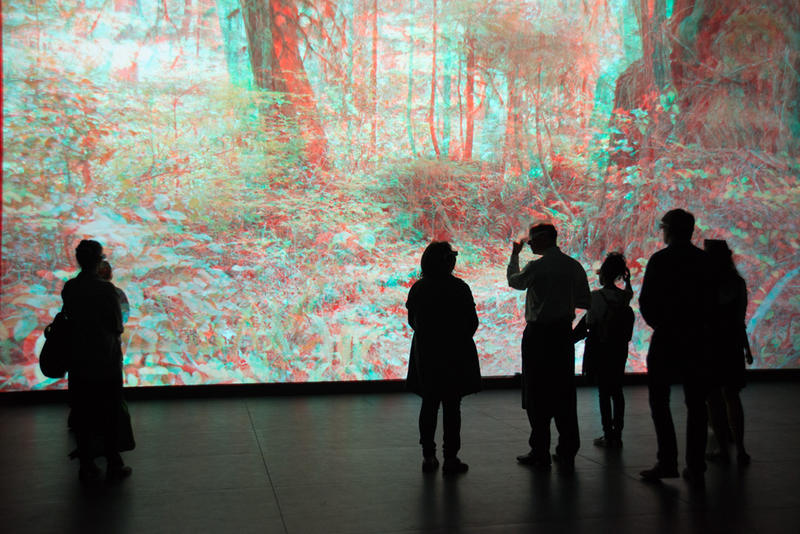 This large format video projection project arose with the consideration of the forest as a space of research as well as contemplation, marking the beginning work towards a series of video installations within a solo exhibition (2019) at the Art Gallery of Greater Victoria with curator Haema Sivanesan. After the preliminary work in June 2016, Sujir discovered the work of Suzanne Simard, UBC forestry professor, who talks about the forest floor as the place where the old growth trees function as archive for the grove, communicating through the forest floor, in a network we would perhaps liken to the internet. Additionally, in May 2017, Sujir was an observer at the symposium lead by University of Victoria’s ethnobotanist Nancy Turner: Indigenous Peoples’ Land Rights and the Roles of Ethnobotany and Ethnoecology: Strategies of Canada’ Future. 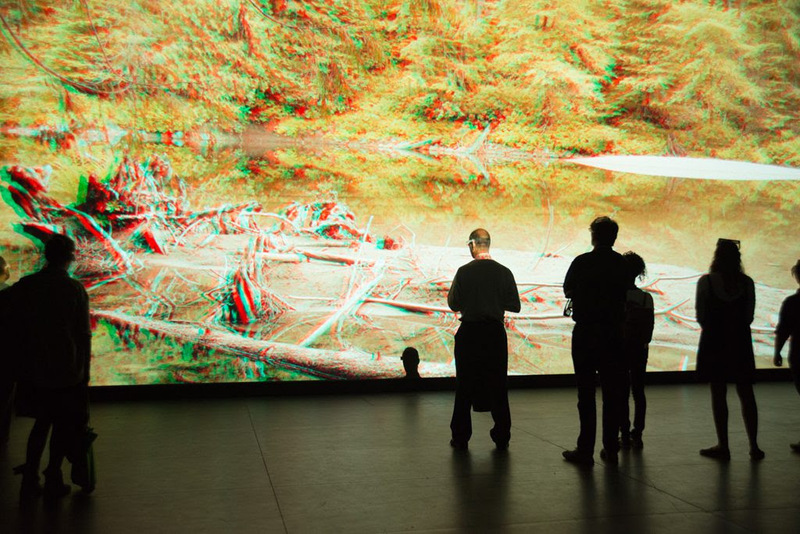 Sujir began in the Walbran with cinematographer Chris Kroitor, with a 3D rig fitted with two Sony 65 cameras (8K capability), to allow the viewer to stand in a forest of moving pixel images, in the same relation to the trees as they would have within the Walbran forest. 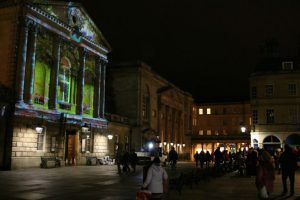 The experiments with time and space include a pull parallax, moving the space from relative flatness to an extended 3D: the space embraces the viewer through the duration of a four to five minute shot. The work in progress shows the raw clips, prior to color correction or editing. Sujir’s intention is to work spatially with both the moving image and sound, for space as volume to be able to be perceived through the body. The Walbran is scheduled for clear cut logging, which would mean the loss of this archive of time and space, held in the old growth trees. Images of Forest Breath, (2016-): work in progress, stereoscopic 3D Video installation. Please view using anaglyph glasses (red at the left). Charalambos Poullis (Computer Science and Software Engineering) received a grant with Dr Sudhir Mudur (Chair, Computer Science) and Professor Leila Sujir (Studio Arts) funded by CASA (Concordia University). 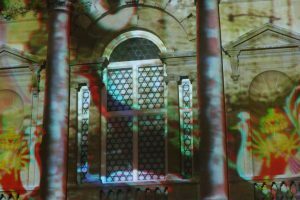 Despite the wide availability of specialized software several restrictions are still imposed on the type of objects/scenes on which projection mapping [PM] can be applied on. The most noteworthy are objects/scenes with (a) complex reflectance properties and (b) low intensity or distinct colors. 1. Identifying objects with complex reflectance properties. 2. Automatic color correction for areas with low intensity or distinct colors.